How do our brains produce behavior, thought and language? What goes wrong in psychiatric and neurological illness? How do drugs affect the brain? How do our brains change over a lifetime? These are the kinds of questions that neuroscientists address every day. If you have an interest in the answers to these questions—and how the workings of the human nervous system relate to human behavior—consider exploring this field in greater depth by pursuing a major in neuroscience. The neuroscience major at Cedar Crest College will prepare you for graduate education, medical school, other health professions programs or immediate employment in laboratory and research positions. The neuroscience major includes all of the coursework required for entry into most medical schools and other health professions programs. Neuroscience is an interdisciplinary field that is concerned with basic brain function and its relationship to complex processes of behavior and cognition, as well as to the mechanisms of neurological and mental illness. The neuroscience program at Cedar Crest College reflects the multidisciplinary nature of this exciting and growing field and provides a multilevel approach, from molecular mechanisms to the study of the mind. During your studies, you will complete courses in the biological sciences, psychology, the chemical and physical sciences and mathematics. This will help you gain a deeper understanding of how the mind and body work. 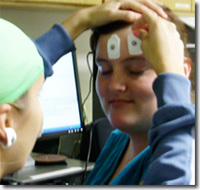 In fact, students majoring in neuroscience frequently add a second major or a minor in psychology. Our program puts a strong emphasis on hands-on research. 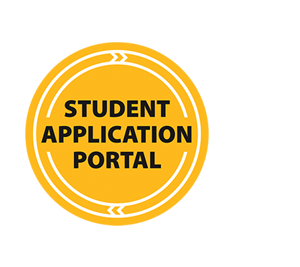 Beginning your first year here, you will participate in a wide variety of research projects led by faculty-scientists with both experience and passion. Students have previously studied adult stem cells, molecular control of development, the effects of herbal medicines on the nervous system, and animal behavior. After your first year, you are encouraged to conduct independent research and are given the opportunity to present your findings at local, state and national conferences. Cedar Crest's neuroscience program is a founding member institution of the Lehigh Valley chapter of the Society for Neuroscience. As members of this award-winning local chapter of the leading national organization in the field you will have access to a wide variety of resources and opportunities including service learning opportunities during Brain Awareness Week, interactions with distinguished visiting neuroscientists, and involvement in an annual research conference focused on undergraduate neuroscientists. The mission of the neuroscience program is for women to gain understanding and skills relevant to the broad field of neuroscience, including current issues, trends, and questions in the field, within the context of the core concepts of biology. The program's interdisciplinary curriculum provides students with content knowledge across the field, training students to become future leaders in the field. Graduates of the program are qualified to work as scientists, to pursue further graduate training in neuroscience or other scientific fields, or to enter training programs for health professionals.